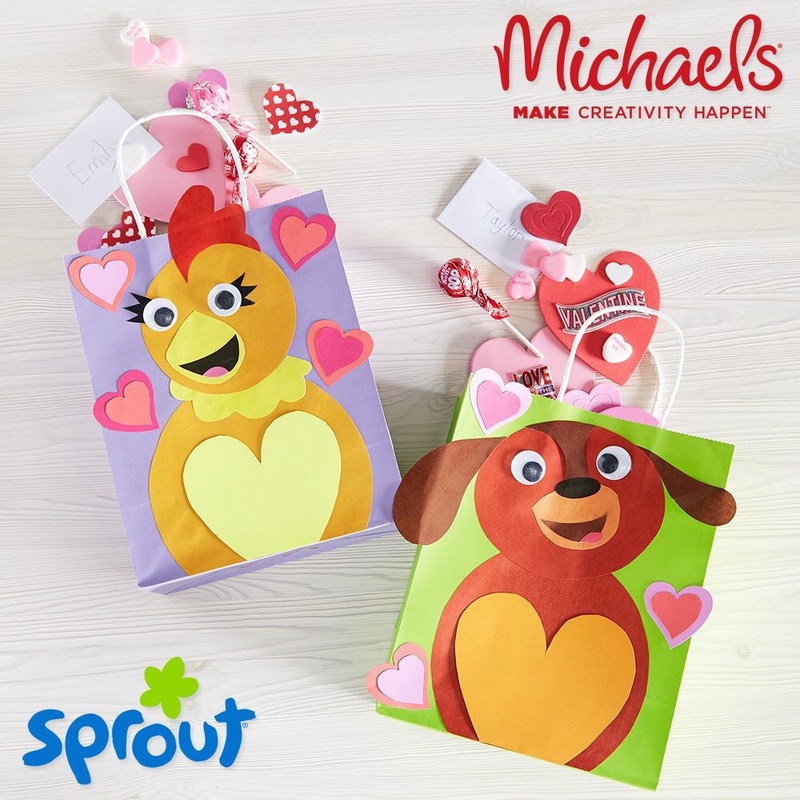 I got an notification about a cool Sprout themed class at Michael’s. I went online and signed my son and his cousins up for the kids club class. This is a cool gift bag that you can put your Valentine’s day cards or candy in. It would even be an adorable DIY craft to put a present in and give to someone you ??! 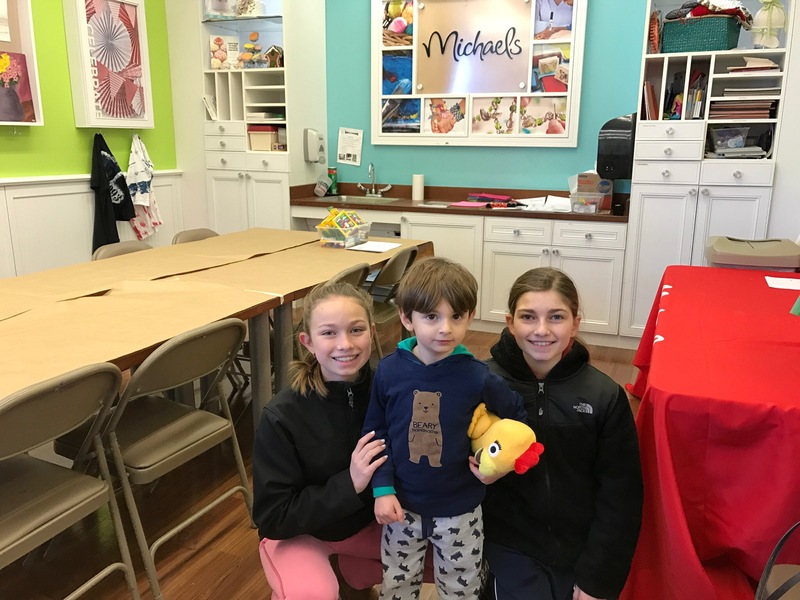 The kids club is for kids ages 3 and up. It runs on Saturdays from 10-12. It cost $2 per child. So you can stop in between that time and pay for the class and join. I signed up in advance online so I could save some time. There was two crafts to choose from. 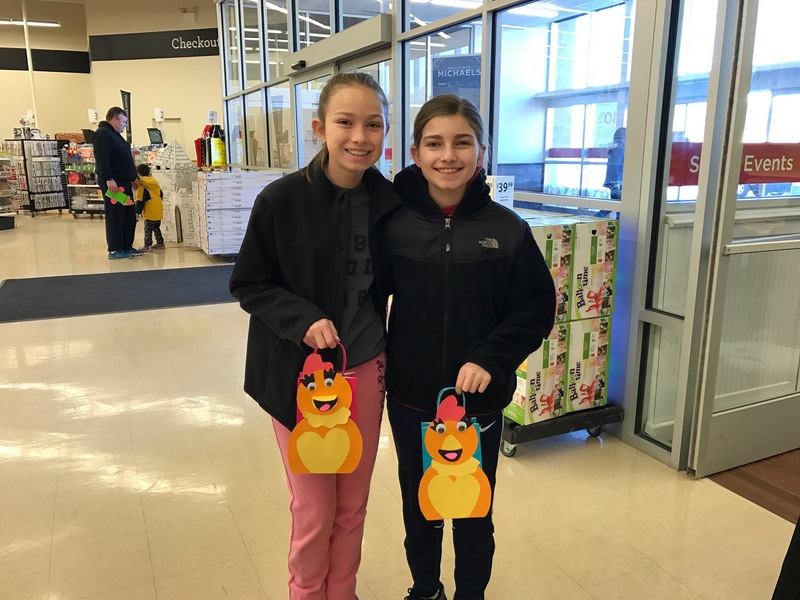 They all choose to do the Chica gift bag. I helped my son with most of it like most of the parents do with the younger kids. Once you sign in and sign the parent waiver you can start the craft. 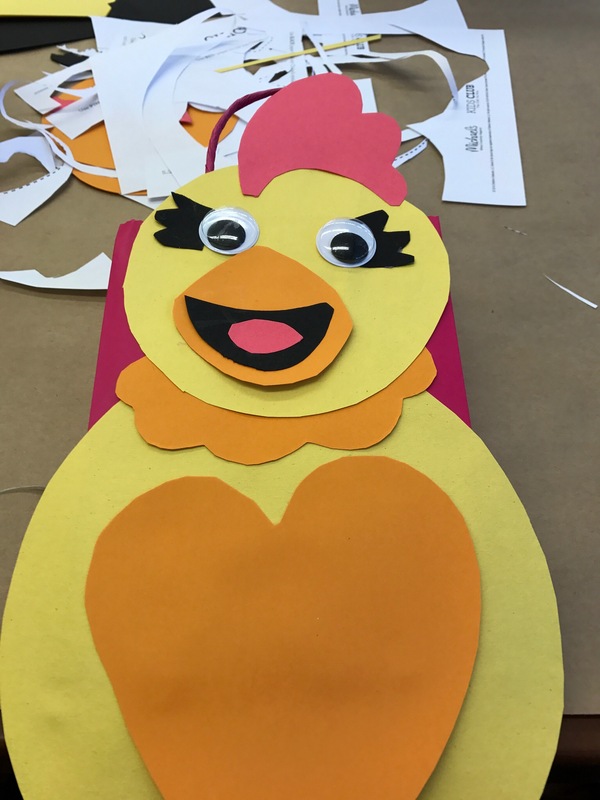 We was given a template of Chica to cut out and we got to choose our colored gift bag. It was time to pick out our card stock. Then it was time to cut the template out. I wrote on the middle of each cut out what is was for because as you can see in the picture the description was on the side that was the scrap paper. It did come in handy later on when it was time to glue it all together. The teacher passed a pack of eye balls around for each of us to choose from. The only thing that was not great about that was they were different sizes. Some were way too small for this craft. They should of provided a same size googley eyes mega pack. We used craft stick glue which worked great with the paper. We should have been given though, a tacky glue to secure the eyes down properly. I waited till we got home to use my tacky glue to put the eyes down. My nieces used the craft stick glue and it held for a little bit. The googley eyes did pop off when they got home so they used some of my tacky glue. This was a great project to do and was lots of fun! It was well worth the the $2. Yes, even with its flaws. 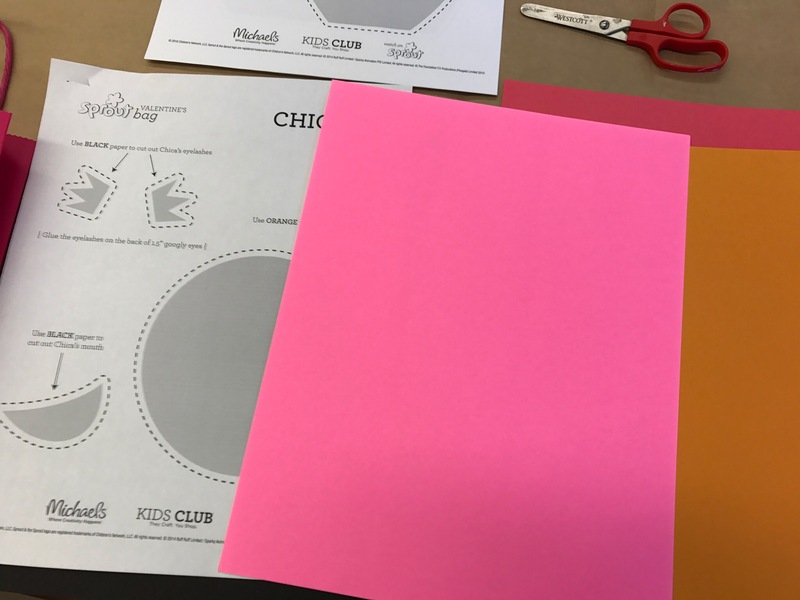 I am being critical because I use to work for Michael’s and did some of the kids club classes. So of course, I would have a higher expectation. I use to look over the crafts before hand. I would even have the room all set up too. (Which the teacher was grabing the suplies and at first, wasn’t too sure of the craft we were doing.) When I worked there, they started to send us the supply packs for the kids club classes. I would still see if we needed more than one glue or if I saw that pack of eyes I would have said these are not going to work and told my manager and would have supplied out the proper eyes to use. 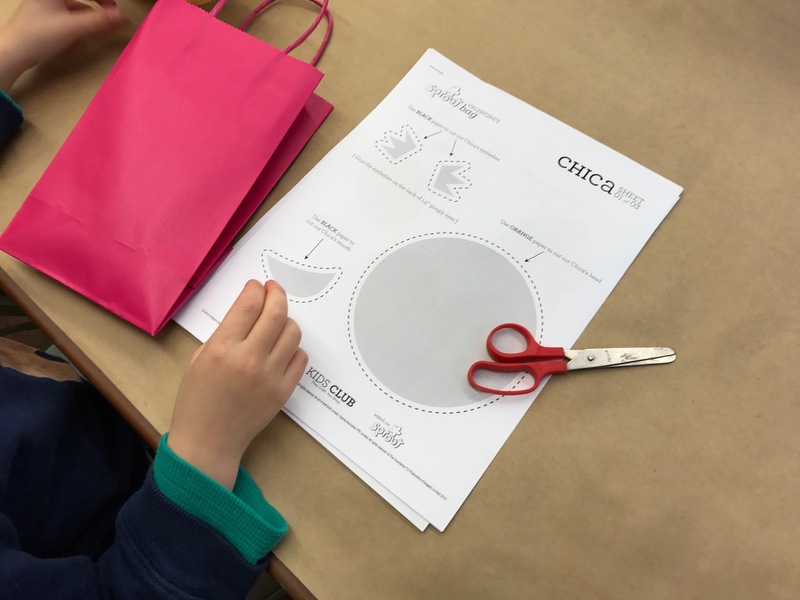 This craft project was super popular too! There was even some kids waiting outside for an available seat. 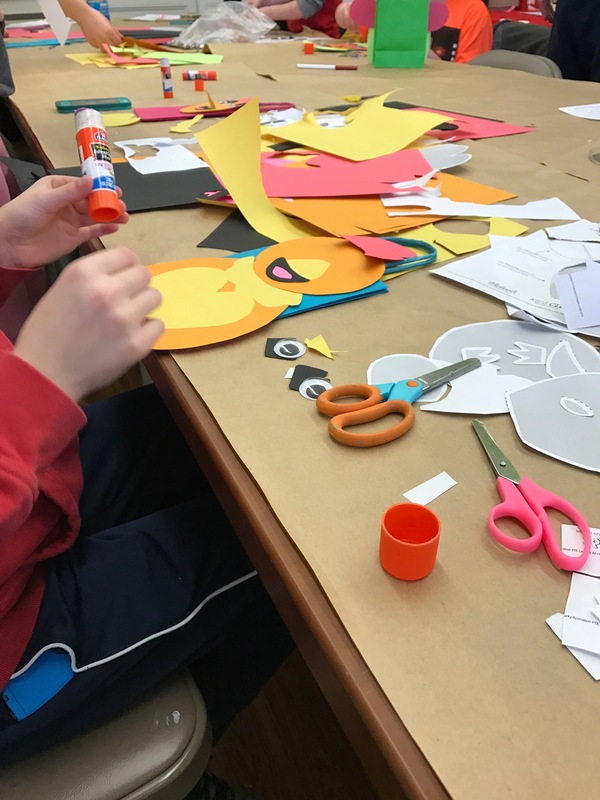 One of my favorite things I loved about teaching kids club was seeing all the cool ideas that kids come up with. Even when you have the same project they will all come out differently but they are all cool in there own special way! You can see the Chica gift bag I completed with my son above and this picture below is the completed version my neices made. One of the beaks is in 3D and that is a super cool idea!